Yacht shows around the world showcase larger boats of many different styles and sizes. They are also where some outlandish concepts are released and while most will never be built, it's fun and interesting to peruse the outlandish designs. 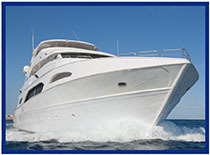 For real-life yachts, Big "I" Markets provides you access to a first class market through AIG. Your affluent clients owning boats have different needs and exposures than the average homeowner. AIG understands this and have Loss Prevention and Safe Practices tip sheets for you to share with them. You don't them to end up on one of these Launch Gone Wrong videos. Comprehensive Yacht Insurance is available as part of the AIG's Private Client Group homeowners coverage. The homeowners is available for dwelling replacement cost coverage valued at $500k or more in most states. Jewelry, fine art, collections, as part of a package acct. High symbol, high performance vehicles with acceptable driving records as part of a package acct. AIG's Private Client Program is available to registered Big "I" Markets agents in all states. Sail over to Big "I" Markets and click on Affluent Program - New Business to learn more! Long before a salesperson meets a customer, that customer researched the features and benefits of the products and services in question, read online reviews from other customers and assessed competitor offerings. And that means a successful sales professional can no longer expect to show up, fill the room with personality and win based on a persuasive presentation of features and benefits. To be successful, a salesperson must… Continue reading the full Caliper article here. Did you know that Big "I" members receive a 10% discount on Caliper hiring assessments, 10% discount on staff development tools, and expert consultants who can help you in all areas of talent management? In addition, Caliper is offering all Big "I" members a free Individual Developmental Guide with the purchase of their first Caliper Profile - a $100 value. This offer is available to new clients only. To learn more about Caliper's solutions, visit www.calipercorp.com/iiaba or contact brett.sutch@iiaba.net. In today's data-driven world, organizations of all sizes are at risk for a cyber attack or data breach. It may not be a question of if your organization will suffer a breach, but when. Just one stolen laptop, one resourceful hacker, one virus or even one lost paper record of customer data or your company's financial records can create enormous financial and reputational consequences for your business. Travelers CyberRisk coverage is available for private, nonprofit and public companies of all sizes and offered as a stand-alone policy or as part of a management liability suite of coverages. CyberRisk provides a combination of coverage options to help protect your business. Regulatory Defense Expenses - Coverage for governmental claims made as a result of network and information security liability or communications and media liability. Easy access to Travelers' claim reporting website CyberRisk is part of the Travelers Wrap+ for Executive Liability for Private Companies product. You can pick and choose the coverages your client needs and leave off what they don't. In the future you can add new or drop old coverages as needed. As part of the coverage, insureds receive access to Risk Management Plus+ Online®, a one-stop resource that provides a comprehensive set of tools to help protect organizations from costly litigation. To learn more, visit www.rmplusonline.com. To access the Wrap+ please log into Big "I" Markets. and look for Wrap+ products in the commercial product listing. Please note that Community Homeowners Associations and Healthcare Organizations are not currently available through Big "I" Markets. Congratulations to our agent in Congratulations to our agent in Washington on a Small Contractor sale of $5,704 in premium!